It was a sunny day at Beatbox Camp in Krakow, Poland. Familiar yellow tinted sunglasses faced a newly black painted wall. A bag of spray paint sat next to the man known as Bee Low. He is no stranger among the beatboxers. The owner of Beatbox Battle TV, one of the top viewed beatbox Youtube channels. 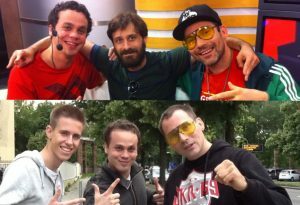 A legend who pushed the scene, created the first modern beatbox battle, and spread it throughout the world. He is the one who enforced the family values and demanded maximum respect between battlers and from the audience. But very little is known about this godfather of the beatbox community. On the third day, after the History of Beatbox artwork was done, we got to sit with Bee Low and learn what made Alexander Bülow into Bee Low. Alexander Bülow was born in 1974. Raised in West Berlin during the years of the Berlin Wall, Alexander grew up near the US base camp. At the time, there were three armies stationed in West Berlin; the French, British, and US base camps. It was the US soldiers and their families stationed there who shaped Alexander’s youth. As a young boy, Alexander would give money to his American friends to go to the Post Exchange (PX) and purchase everything from new ADIDAS’s, hiphop albums, and even Burger King. In return, the Americans would share hip hop culture with the young Bülow. In fact, hip hop’s reach across Europe was prevalent in the early 80s, notably in London, Paris, and other major cities. But the hip hop culture, and at the time, the electric boogie era, found a strong community in West Berlin. Alexander was inundated by the many branches of hip hop and at nine years old, he dove into each of them. He started as a dancer/b-boy, then in the summer of ‘87, he started tagging (graffiti writing was simply referred to as writing), and beatboxing. In 1989, the Berlin Wall fell, opening up West and East Berlin. The young Bülow is 15 years old and getting into mischief left and right, whether it was getting into the Disco Clubs to see the B-Boy’ing and beatboxing or tagging every wall and train car all over Berlin. He noted that all his friends would carry writing pens wherever they went. At the time, Alexander hadn’t found his own name, tagging under various names like “Zeal," "2Night" or "Pyton”. Graffiti writing saw a boom in popularity and the newly fallen wall became the central tagging zone. Bülow and friends would walk into stores, nab spray cans by the bag-full, and “scooby doo” out of there. 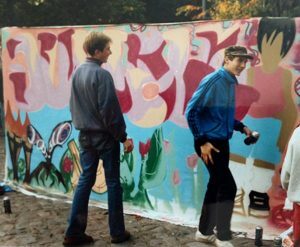 Bülow’s friends became the T2B crew (“Try 2 Bust”) tagging across Berlin. They would carry their ghetto blasters (boom boxes) and spend the day writing up a wall. And when the battery would die out on the boom boxes, friends would ask Bülow to beatbox while they continued spraying, jamming along the way. As the 90s approached, graffiti wasn’t the only thing to boom in popularity. Berlin also saw a surge in gang violence. Many gangs would spray their insignia all over Berlin, proving to be very risky for the many graffiti writers, including Bee Low. Spraying over a gang tag meant a potential stabbing. Violent crime rate was at a high in Berlin, toughening up the young Bee Low, who learned to defend himself if push comes to shove. During the boom in the graffiti movement, the turntablism movement gained momentum as well. At the time, Bee Low and his crew had traveled all over Europe and written on countless train cars. 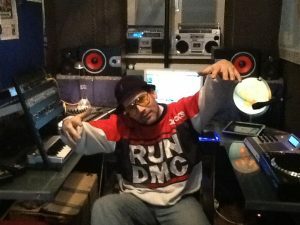 At some point, Bee Low began receiving offers to host turntable battles, as he was recognized for his artwork in the hip hop community. This was a natural progression for the showman, who was never afraid to walk up on stage and entertain a crowd. The first few events were small, but by the end of the 90s, Bee Low was getting offers to host serious DJ championships, particularly with the International Turntable Federation (ITF) and the DMC DJ championships. Bee Low was considered one of the best and craziest hosts, gaining the attention of sponsors for the events and getting the royal treatment by the organizers. At one of the battles in Hamburg, while hosting, Bee Low noticed one of the DJ’s was having technical issues, severe enough for the technician to have to take a look. The pause in the competition was enough to get people booing and demanding their money back. Bee Low took it as an opportunity rather than a dilemma and started beatboxing for the audience for a few minutes till the technical issues were resolved. The crowd cheered as Bee Low started to vocal scratch and beatbox. The next morning in the hotel jacuzzi (before his massage), Bee Low came up with the idea of a world beatbox competition from his moment on stage the day prior. Beatbox battles had existed only underground and unofficially, occasionally ending in a brawl. He then came up with his brand, “Beatbox Battle” (eventually Beatbox Battle TV). Bee Low knew of international beatboxers like Rahzel and Killa Kela at the time, but did not know if there were enough to have even an national battle. 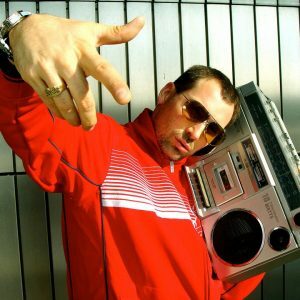 By cold calling and mailing demo tapes, he was able to get beatbox workshops established at a hip hop summer school in Berlin, with a couple dozen beatboxers in support. 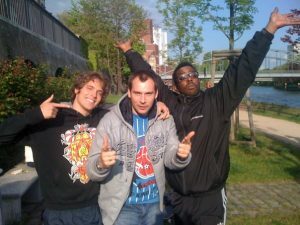 On September 19th, 2002, the first German Beatbox Battle took place, becoming the first official modern beatbox battle, with professional judges, an audience, and where beatbox was the central event. The event was a success, in part due to Bee Low’s popularity as a DJ host and graffiti artist. 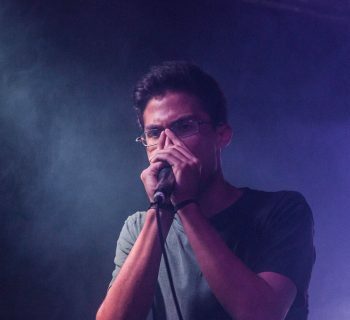 Afterward, Beatbox Battle established national championships across Europe, supporting developing scenes in Austria and Switzerland for their first championships. By this point, beatbox communities emerged in many countries. In April of 2003, London held the first beatbox convention, BoxCon, hosted by HumanBeatboxDotCom. Both Bee Low and first German champ, Zeero attended, meeting many of Europe’s beatboxers like Faya Braz, MicSpawn, Alien D, TikTak, Killa Kela, and many more in the London scene. The beatboxers became very close, traveling to future events together to jam. Later events included newly established national championships in Poland, Czech Republic, the Netherlands, and Spain. The United States had no official battle till 2010. This was because the beatbox scene had its battle years behind them from the 90s and had been focused on performance. Though many US beatboxers had traveled to Europe, like Rahzel and Scratch, this was only for performances. Kid Lucky was friends with Jaro Cossiga of the group Beatburger and had brought many Americans over to Europe. He later helped with the World Championships. In 2005, Beatbox Battle held an event with the ITF, combining DJ, breakdancing, and beatbox battles into one event. The event was called the “Hip-Hop World Challenge”, held in Leipzig, Germany. The event was big enough that it was featured as an official artist event, promoted and fully sponsored by the DFB, Germany’s football association, for the 2005 World Cup in Germany. 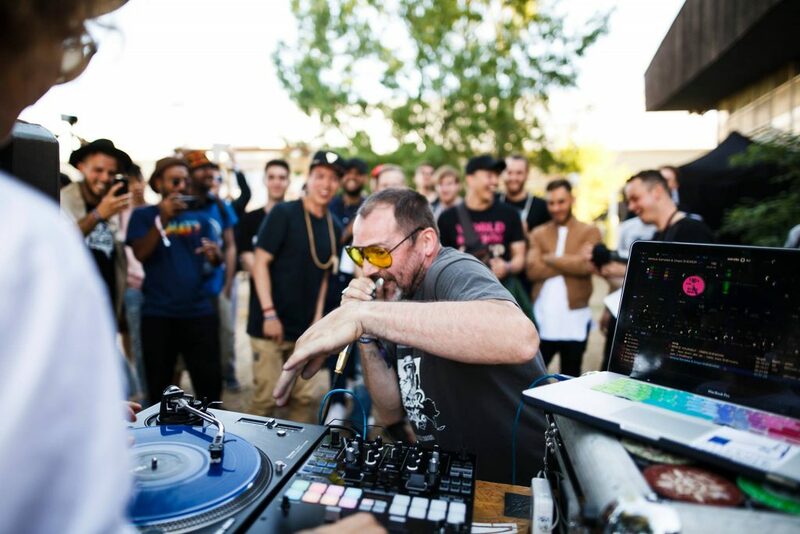 The DJ and breakdancing battles were "private battles", not considered official battles by the organizations, so the beatbox battle became the forefront of the event. 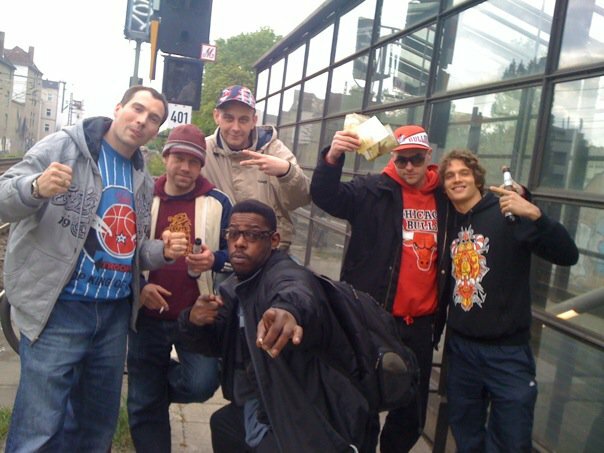 Beatboxers like Kid Lucky, Scratch, Poisonous (Canada), Roxorloops, Tom Thum, and Joel Turner attended the event. This was dubbed the first Beatbox Battle World Championships. 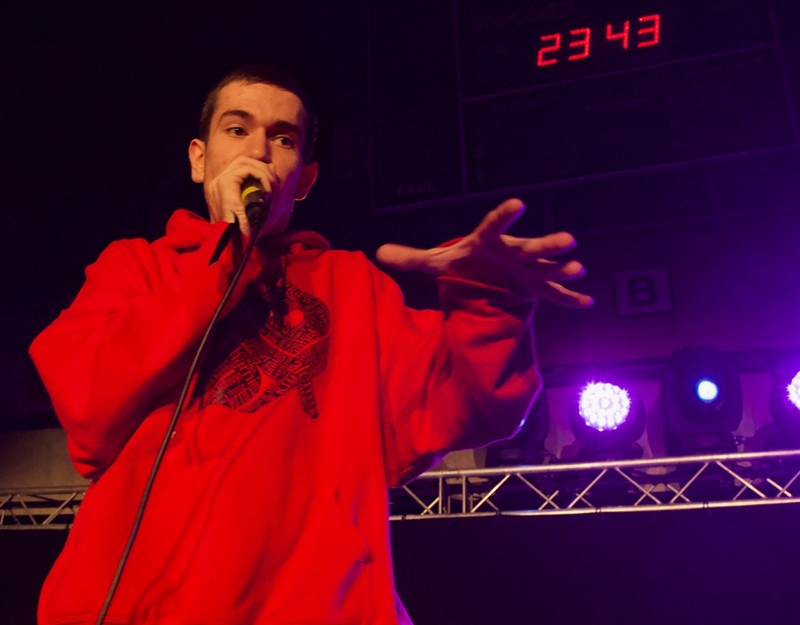 The event had solo battles for both men and women, as well as a battle for crew (later established as 3-5 beatboxers, tag team was introduced in 2015). DJ Mesia and Bee Low produced a mixtape for the event with tracks from various beatboxers, including Kid Lucky, called the Beatbox Battle Express Train, handing out free copies to promote the event. Bee Low has mentioned how the World Championships have been at times funded personally, as he invested his own and his family’s money, ending with almost no net gain. 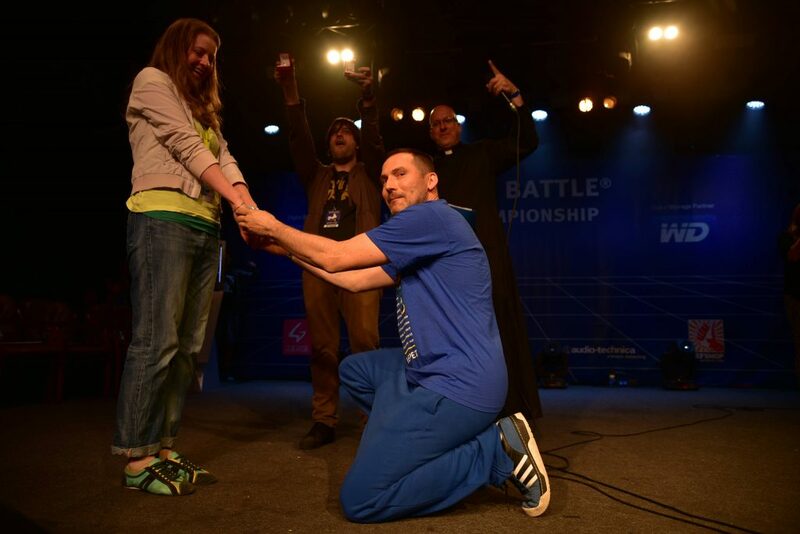 Beatbox Battle Network is a non profit. By 2006, the world had seen a boom in beatbox culture, with over a dozen National championships established. Major players in this boom came from Beatbox Battle Network and Human Beatbox. 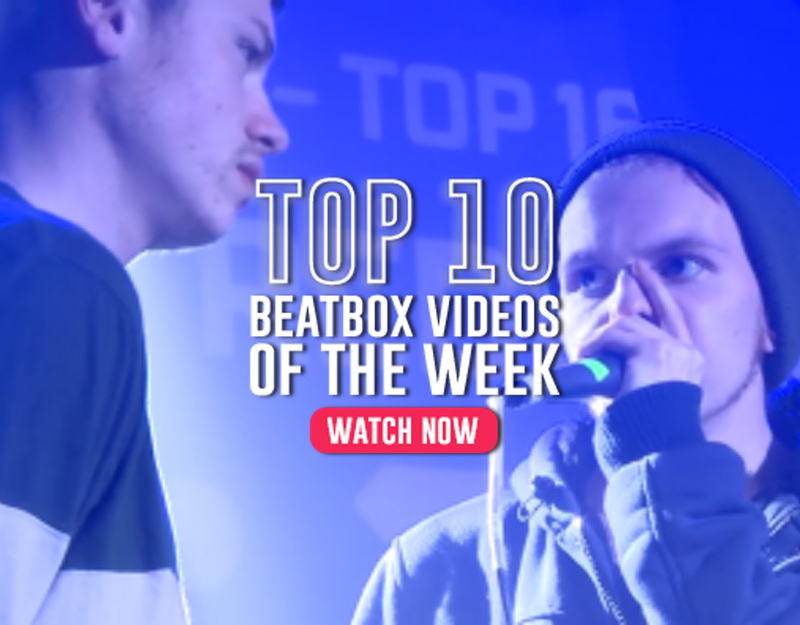 Humanbeatbox.com’s forum became the first hub for beatboxers to communicate and share, while the Beatbox Battle Network became the real stage for performers and job opportunities. 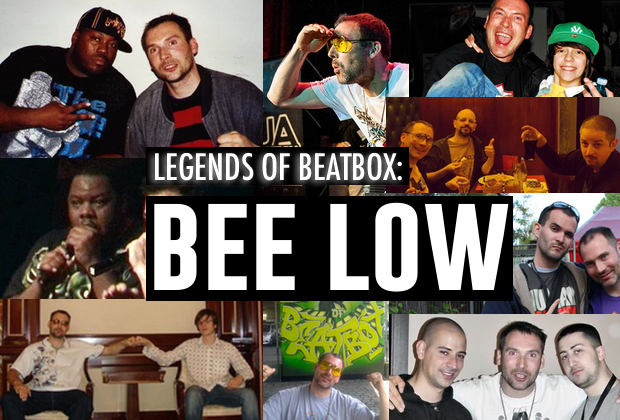 Bee Low later traveled to more countries like Finland, Denmark, South Africa, and even Japan, helping establish the first Japanese battle with beatboxer Tatsuya. He also mandated that the national championships have the same rules across the world. This established the rules that are still in place today, citing that this will standardize the rules and champions can come to the next World Championships knowing the rules already. 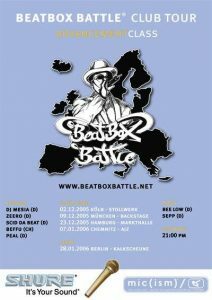 Then in 2009, the 2nd Beatbox Battle World Championships took place in Berlin. With the help of Kid Lucky, the event was fully sponsored by Panasonic Europe. 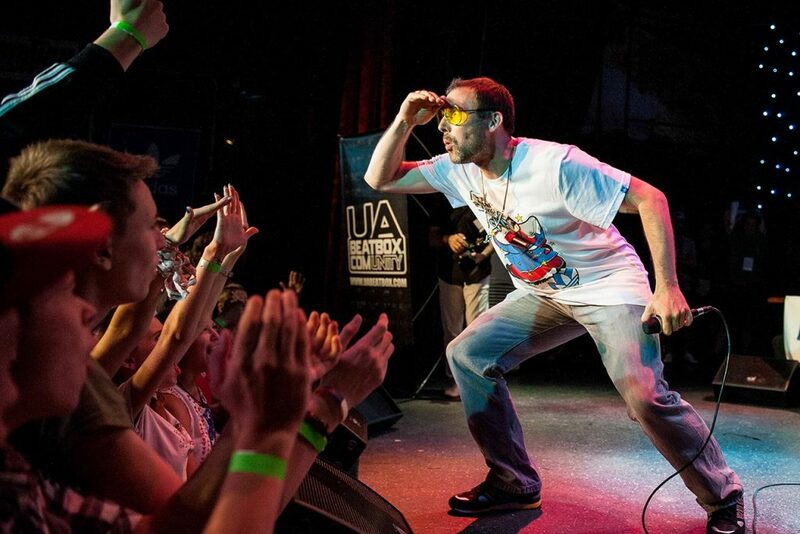 The 3rd Beatbox Battle World Championships took place in 2012, seeing 88 male competitors, mostly national champions. The event was fully sponsored by Pringles. Bee Low stated the reason the champs will take place every three years is so that countries which cannot hold a yearly championships can still have a chance to produce a champ to enter the world champs. Having created the official World Beatbox Championships and entering the 4th championship, in 2015, Bee Low attained a different goal at the tournament. Just prior to opening the doors to the competition, surrounded by close friends and family, Alexander knelt, held longtime girlfriend Marina’s hand, and asked her to marry him. Mid competition, Bee Low asked for the livestream to be halted and the cameras to be turned off. HumanBeatbox’s Tyte, a priest in his secular work, walked out wearing his Minister Robe. Bee Low announced to the crowd his proposal to his new fiancee, to a roaring audience. Adam from Beatbox Television walked over and handed them wedding rings and Kaila Mullady stepped forward and sang a beatbox rendition of the wedding song. And in front of hundreds of beatbox spectators, Bee Low became a married man. The couple’s 7 month old son, Nikita Maximus, was brought out to join the celebration by Rosy, Swissbeatbox Pepouni’s mother. Nikita looked at the crowd and Bee Low saw his small son smile at the cheering crowd. From a small boy in West Berlin, holding a tagging pen, to the godfather of modern beatbox, holding a mic and a golden hourglass, Bee Low has seen the community blossom from what started as a dream. So what is next? Bee Low stated that there will be a 5th World Championships in 2018. “Of course! I’m working on the concept. There are no sponsors [as of right now].” On January 2nd, he announced the dates for the 5th Beatbox Battle World Championships. One question remained. Who will be the successor of the World Champs? No doubt, Bee Low cannot carry out this daunting task forever, as a newly married husband and father. We never got a chance to ask this question. But, Bee Low did mention this one fanboy he once knew. He came to every event and had a small youtube channel. As his status grew in the community, Bee Low started looking after him and the two became good friends. He gave him advice on how to hold events, as well as the inner workings of the beatbox network. And today, that channel has a half a million subscribers and over 200,000,000 views. That Youtube channel was SwissBeatbox, and that boy was Andreas, later to be known as Pepouni. And while Bee Low will never leave the community, he has admitted he can't party with the youth like he used to. But, as he continued, he will support his beatbox family and attend events as much as he can, while supporting his own family. The name “Bee Low” is a play on his family name, Bülow. The yellow tinted glasses are a gift from Porsche designs. The shades are interchangeable, so he got seven of them, six with the famed yellow tints and one with the original tint that he rarely uses. Bee Low is a professional broadcasting producer and internet live stream pioneer since 2008. His son, Nikita Maximus, is named after his close friend and beatbox motivator, Maxim, who was murdered on his 33rd birthday in 2003. Bee Low's graffiti name is "HISTORY 721"
Bee Low first learned how to beatbox from Raphael "CKAY 1" Kressmann (Oldschool pioneer from Berlin). Besides beatboxing, Bee Low is a prolific graffiti artist, with knowledge of spraying as in-depth as his knowledge in beatboxing.